He had prime time programs in 19 years of Network Radio’s Golden Age. He had eight programs in the Annual Top 50 - at least one in all three decades of the Golden Age, including two in the Top Ten and another three in a season’s Top 25. His band was repeatedly named the Listeners’ Favorite in audience polls and sold, by conservative estimates, at least 100 million records for the Brunswick, RCA-Victor, Columbia and Decca labels. For 48 consecutive years he led his orchestra through its theme song, Auld Lang Syne, to usher in the New Year on Network Radio and TV. Yet, for all their popularity and success, Guy Lombardo and his Royal Canadians were the object of scorn and ridicule by critics who labeled the band “too commercial,” or worse. Lombardo and his sidemen just smiled and took it all in stride - all the way to the bank. They were among the highest paid musical groups in the country because - unlike most bands that worked late night radio remotes for no additional fee - most of the Royal Canadians’ broadcasts were sponsored which meant extra income for everyone. And the band earned top dollar wherever it performed. Its leader wasn’t just a nice guy, he was a shrewd businessman, too. Gaetano Alberto Lombardo was born in 1902 in London, Ontario, the eldest of seven children. His Italian immigrant father insisted on a musical education for all of his children and young Guy was given a violin, the symbolic instrument of orchestra leaders at the turn of the last century. It turned out to be prophetic. The Lombardo band began as a family operation. Brother Carmen was the first to join Guy on the bandstand in 1914 as an eleven and twelve year old violin/flute duet. With his saxophone, passable singing voice and arranging/composing talents Carmen became a key to the small, fledgling band’s success around London in 1921. Next, brother Lebert brought his trumpet to the growing nine-piece Lombardo band as it crossed the border in 1924 for its first U.S. booking in Cleveland. Saxophonist Victor Lombardo joined the group in 1929 and sister Rose Marie sang with the band during the 1940’s. Finally, the band’s featured singer for 29 years, Kenny Gardner, married a Lombardo sister, Elaine, in 1941. The spirit of family extended to the Royal Canadians, as well. Besides Carmen and Lebert, five of Lombardo’s sidemen from 1924 were still with the band in 1950: trombonist James Dillon, saxophonist/vocalist Fred Higman, saxophonist/arranger Larry Owen, pianist Fred Kreitzer and drummer George Gowans. They had steady, enjoyable and very well paying work, and they were devoted to their personable boss. What more could any employee want? Lombardo’s 1924 engagements in Cleveland were pivotal to the band’s success. Guy and Carmen, the brains behind the operation, were convinced that the group should switch from “hot” jazz to “sweet” dance music - predictable melody and rhythm played strictly by the charts with no improvisation. Their conversion to “businessman’s bounce” dance music was successful, resulting in two years at Cleveland’s Claremont Tent and Blossom Heath Club at $1,300 a week. Equally important, the response from their broadcasts on Cleveland’s WTAM was overwhelmingly favorable. During this period their agent wanted to capitalize on the Lombardo brothers’ Canadian nationality and recommended dressing the band in red uniforms, calling them Guy Lombardo’s Royal Canadian Mounties. Guy refused but compromised by dressing his sidemen in scarlet blazers and adopting Royal Canadians as the group’s name. The Lombardo sound, the band’s name and the red blazers were still in place over half a century later. Chicago’s Granada Café, a combination night club, speakeasy and gambling joint on the city’s seedy south side, was the increasingly popular group’s next stop in 1927. The Royal Canadians performed nightly broadcasts on the new CBS-owned WBBM for which the mobster-owned Granada, Lombardo and his new agent, Music Corporation of America, each chipped in $25 a week to cover line costs. One night during a Royal Canadians’ broadcast from the Granada, George Maloney, a member of Bugs Moran’s north side gang shot one of Al Capone’s south side boys in the head and another in the heart - all witnessed by 300 horrified patrons while the band played on without missing a beat. Newspapers reported it the next day as the first murder ever heard on live radio. Nevertheless, the $75 paid to WBBM turned out to be a terrific investment for all involved. Attracted by radio and Lombardo’s first Number One record, Charmaine, crowds continued to pack the Granada for nearly two years. The band’s popularity soared and MCA caught the interest of both CBS and the Roosevelt Hotel in New York City for the sensational new band from Canada by way of Cleveland and Chicago. Chicago was also the birthplace of Lombardo‘s slogan when a Herald & Examiner critic described the Royal Canadians as, “The sweetest jazzmen on any stage this side of Heaven.” With that praise, Guy Lombardo, his band and their “Sweetest Music This Side of Heaven,” launched their first Network Radio series on CBS for Wrigley Gum on Christmas Day, 1928. Less than a year later, in October, 1929, the Royal Canadians moved to New York and the Roosevelt Grill where they would perform six nights a week for the next 30 consecutive years with regular breaks for lucrative tours of one night stands.. By this time Guy had replaced his violin with a baton, fronting his group that eventually grew to 16 players as its personable emcee. Coinciding with the move to New York, Lombardo began a new series of prime time broadcasts on CBS for General Cigar Corporation’s Robert Burns Panatelas. It’s been suggested that Auld Lang Syne became Lombardo’s theme song during the fall of 1929 to honor Robert Burns, whose poem was made memorable by the traditional Scottish melody. Guy Lombardo made it even more memorable beginning on New Years Eve, 1929. The Royal Canadians took to the air at 11:30 on CBS, began playing Auld Lang Syne as the clock approached midnight and at the stroke of 12:00 switched to NBC for the next half hour. Thus, a pattern was formed for the next few years. The Royal Canadians played out the old year on CBS and played in the new on NBC with their theme, Auld Lang Syne. In February, 1932, Lombardo was joined on the General Cigar Show by George Burns and Gracie Allen. The Royal Canadians and the comedy team split the half hour - seldom seeing each other while performing from separate locations wherever they were playing that week. The result was a Top Ten show for two seasons. Lombardo moved to NBC in 1934 for the Wednesday half-hour music show Pleasure Island, then back to CBS the following season for Standard Oil’s Esso Show on Mondays. After four Top 50 seasons the Royal Canadians did double duty in 1936-37, playing an unrated Thursday night show on Mutual and a Sunday afternoon program on CBS for Bond Bread. The Bond show continued through the 1937-38 season. During this period the band was also kept busy in the recording studios of RCA Victor, turning out five Number One singles including Carmen Lombardo’s big hit, Boo Hoo. The Royal Canadians returned to prime time in the fall of 1938 for a three season run resulting in three Top 50 finishes on the CBS Monday night Lady Esther Serenade. Lady Esther Cosmetics also sponsored Lombardo in a Friday edition of Serenade on NBC in 1938-39 which barely missed Top 50 status although it was NBC’s highest rated program on Friday night..
Far from finished on Network Radio, the band was also featured on the long-running Lombardoland, USA on Mutual’s weekend schedules from 1948 to 1957. Lombardo continued to turn out top-selling records as evidenced by 1950’s Third Man Theme, Enjoy Yourself and Dearie which pushed his Decca disc sales for the year to over $7.0 Million. But something happened in the late summer of 1951 that nobody, not even the always optimistic Guy Lombardo, expected. The Royal Canadians had just completed their second season as the summer replacement for Jack Benny’s Lucky Strike Program on CBS with remarkably good ratings. Meanwhile, American Tobacco had decided to move its radio cast of Your Hit Parade to television and was looking for a new attraction to take over Lucky Strike’s long-running countdown of each week’s Top Ten songs on NBC Radio. To everyone’s surprise, Guy Lombardo’s Royal Canadians were chosen. 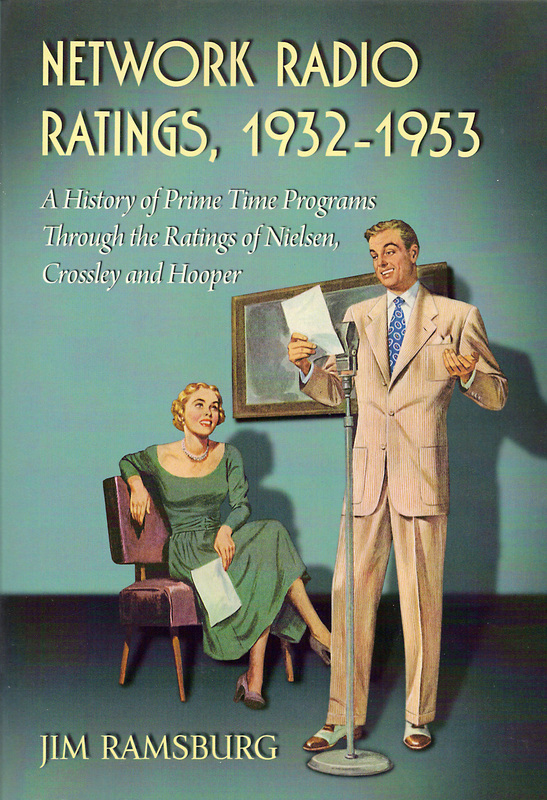 As an even greater surprise, the Lombardo hosted Hit Parade finished in the Annual Top 50 in 1951-52, and just a tenth of a rating point out of the Top 50 after the following season as the Golden Age of Network Radio came to an end. (1) Lombardo's days as a champion speedboat racer were just beginning. He won the National Sweepstakes with his Tempo speedboats in 1946, 1950 and 1951.